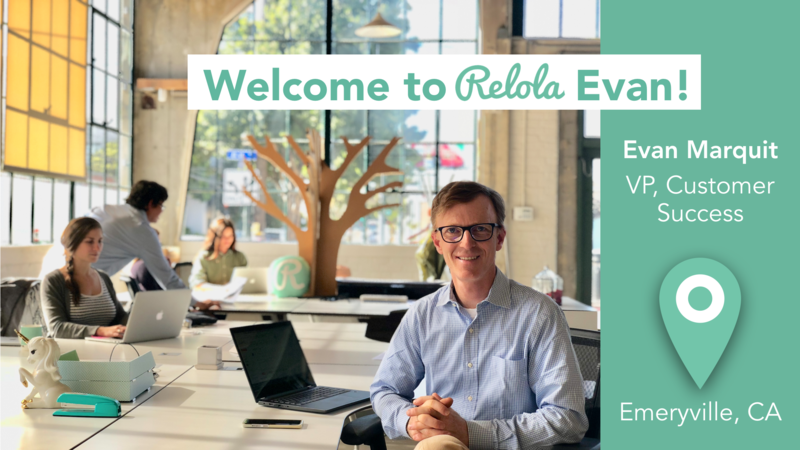 EMERYVILLE, CALIFORNIA, August 1, 2018 – Relola, the leading provider of location-based enterprise solutions that allow organizations to own and broadcast organic content, announces the arrival of Evan Marquit as VP of Customer Success. Evan joins Relola from BrightEdge, where he scaled Customer Success and Sales Operations. Evan’s hire advances Relola’s push toward processes and systems to power its rapid growth across industries and geographies. Supporting app users in 40 countries spanning enterprise, nonprofits and political campaigns, Evan will improve onboarding, support, and success programs to ensure Relola consistently delights its customers — and partners with them — to engage and excite their supporters, customers, and fans using the app. Marquit comes to Relola from BrightEdge, where he was Director of Strategic Programs, focused on scaling and simplifying Customer Success and Sales Operations processes and systems. Before joining BrightEdge he spent 10 years at Autodesk where he started and led the global sales support program and team, and oversaw several enterprise-wide sales operations process and systems change initiatives. Prior to Autodesk, Marquit held senior IT and program management positions at Intuit, Kaiser Permanente, and Integral Results Consulting. Evan earned a bachelor’s degree in Economics from Dartmouth College. He lives in Marin County, California, with his wife, two teenagers, and the family retriever, Luna. He loves reading, family roadtrips, playing keyboards, mountain biking, and free-heel skiing. Contact us with any questions or comments at press@relola.com.